Even though you may think standing over a hot grill sounds absolutely miserable in this crazy heat wave I can assure you this little treat is totally worth it. It’s easy, refreshing, boozy…what more could you want from a summertime dessert!? 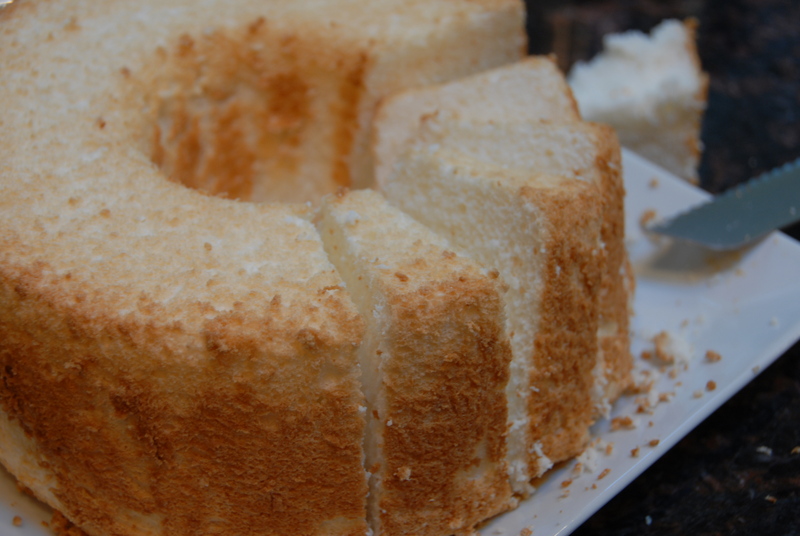 Making angel food cake from scratch isn’t quite as easy as making a Duncan Hines yellow box cake but I bet you it’s easier than you think…the trick for a light and fluffy cake is sifting the cake flour twice. Take the extra minute – it’s worth it. Preheat the oven to 325 degrees. In a large bowl sift together the flour and 3/4 cup of sugar. Set aside. 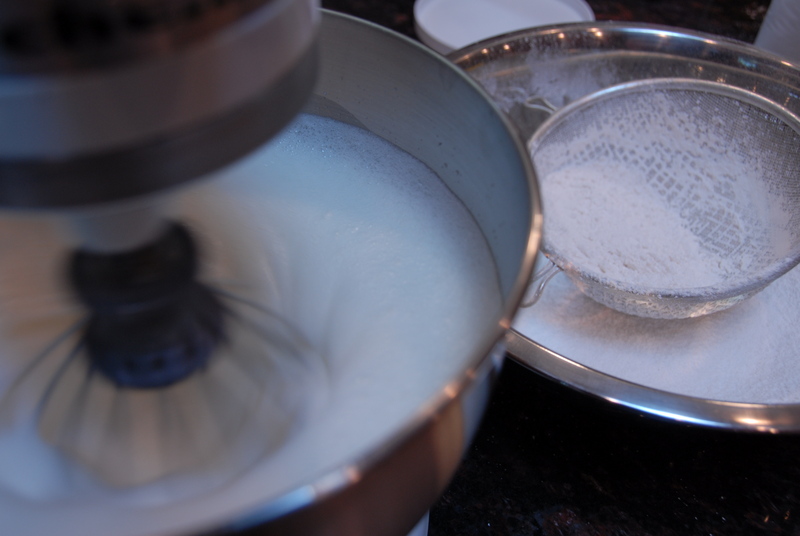 In the bowl of stand mixer, combine the egg whites, salt and extract. Beat until the mixture is just frothy, then sprinkle the cream of tartar on top and continue beating until they form stiff, glossy peaks. Add the remaining sugar gradually, 1/4 cup at a time. 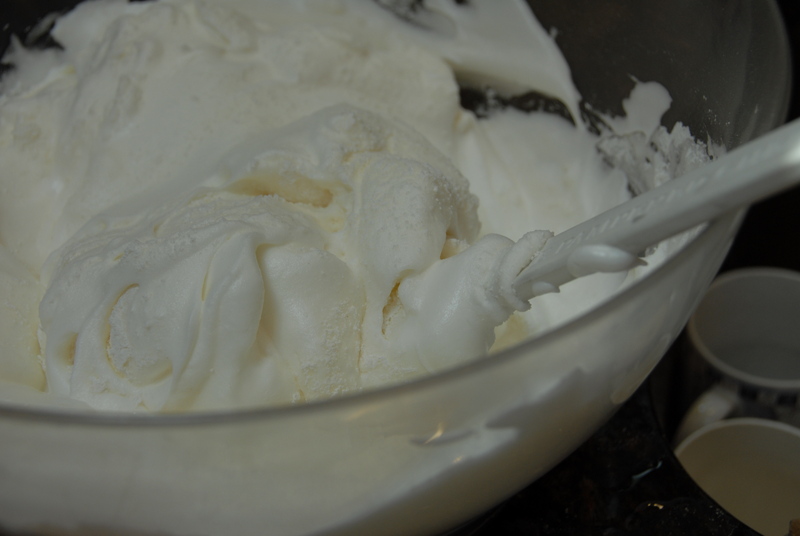 Transfer the meringue to the largest bowl you have – if you want a fluffy cake it’s imperative you have space to fold in all the dry ingredients. Sift in the dry ingredients slowly while folding them in. Spoon the batter into an ungreased angel food cake pan, and bake the cake for about 40 to 45 minutes, or until it’s golden brown and the top springs back when lightly touched. Remove the cake from the oven, and place it upside down on a metal funnel to keep from crushing the top. Let the cake cool for at least 1.5 hours – this allows the cake to keep it’s structure. 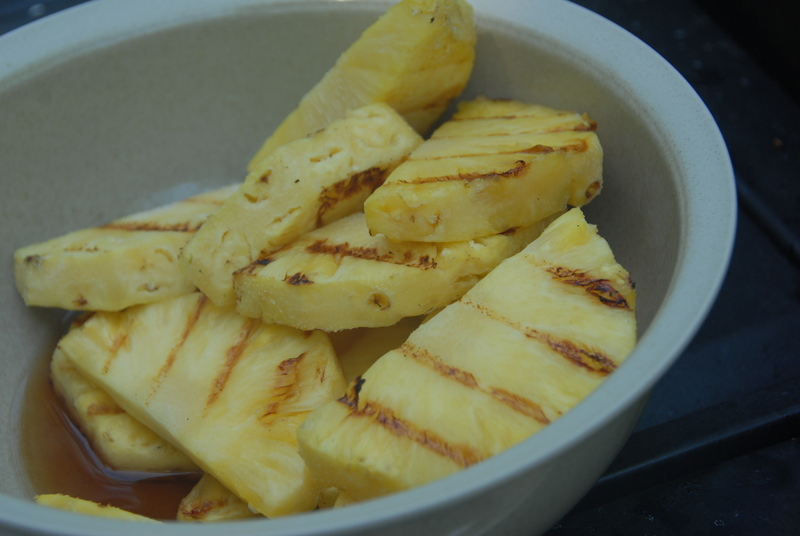 As for the boozy pineapple finish…step one: heat up the grill – nice and hot, clean it and then lightly grease it. Trim the whole pineapple and slice into ¾” slices. Toss the slices in a bowl with brown sugar and dark rum. Grill the pieces for about 3 minutes on each side (depending on how soft you want them). 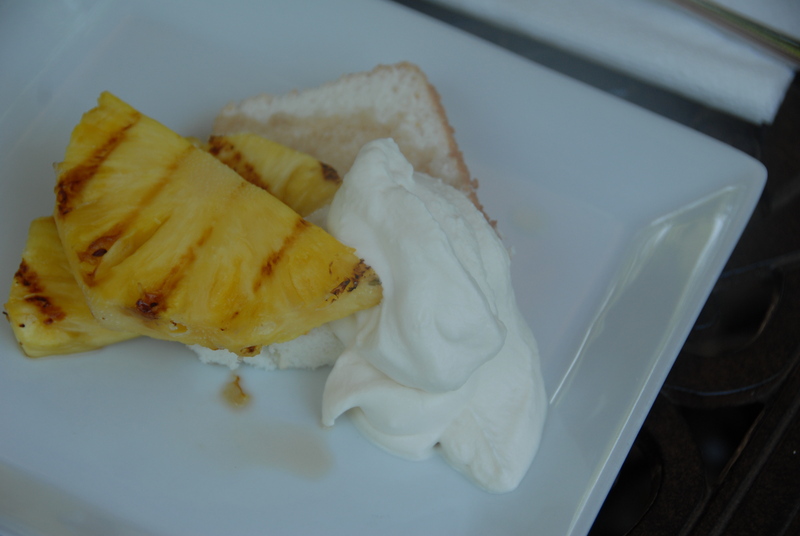 Once grilled, pour the sugar/rum/pineapple juices over a piece of the pineapple, a slice of angel food cake and top with freshly made whipped cream (feel free to add a little bit of rum in that as well!). Absolutely scRUMptious. This entry was posted in Pineapple, Uncategorized and tagged angel food cake, baking, brown sugar, dessert, pineapple, rum, summer, whipped cream. Bookmark the permalink.